Being published in the press is always a great satisfaction not only because we see ourselves in the pages of a well-known magazine??? , but also because it gives us the professional and objective vision of specialists in the sector and that helps to continue and grow in a solid way. At Phylumtech, the entire team works every day to build a product and give a service that provides effective and agile solutions to our customers in the world and environment of biotechnology. Although we are still young and our startup has a long way to go, we are satisfied with each step we take as we know it is within the parameters set. 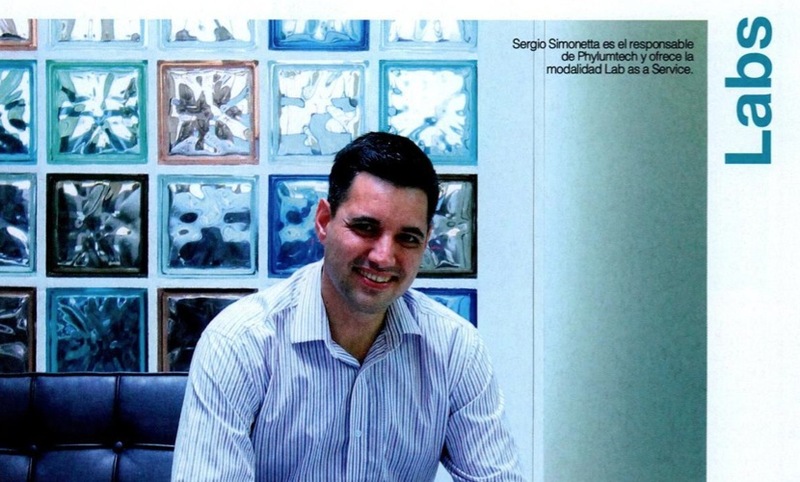 As we have said before, every day we walk in the evolution of our Biotechnology project by which we offer solutions to the scientific community in the discovery of new drugs as highlighted by the publication InfoTechnology. An extensive and thorough review of who we are, what we do and how we do it is included in its pages which is highly rewarding for the whole team to see that our work is recognized and supported. In its lines we can read how they review our star service, Lab a Service or laboratory in the cloud with which anyone who is dedicated to research but does not have the essential equipment to perform the tests, can agree to conclude their experiments in a reliable, affordable and effective way. As our CEO, Sergio Simonetta says: “We realized that, with the advancement of technology and automation, one could start to change that concept and say -now I do not need the scientist to sustain the jar-“. This premise has been the basis of our project and company that currently works internationally and that with its online platform can reach any part of the world and any researcher, thus opening the possibilities of evolution in the ecosystem of biotechnology. Going into details about the report, we had the opportunity to show and open the doors of our project beyond the data and technical specifications. The truth is that behind everything there is always a team and this is how business management should be with all that it implies: team, marketing, sales, finances … No matter how scientific you are, you have to admit this. InfoTechnology has given us the opportunity to talk about our goals, plans and “what we want to be when we grow up” with Phylumtech. Some challenges that we face with enthusiasm, desire, awareness and a lot of motivation. Thanks to InfoTechnology for giving us this opportunity, for trusting in our project and treating us so well. The full report, here.